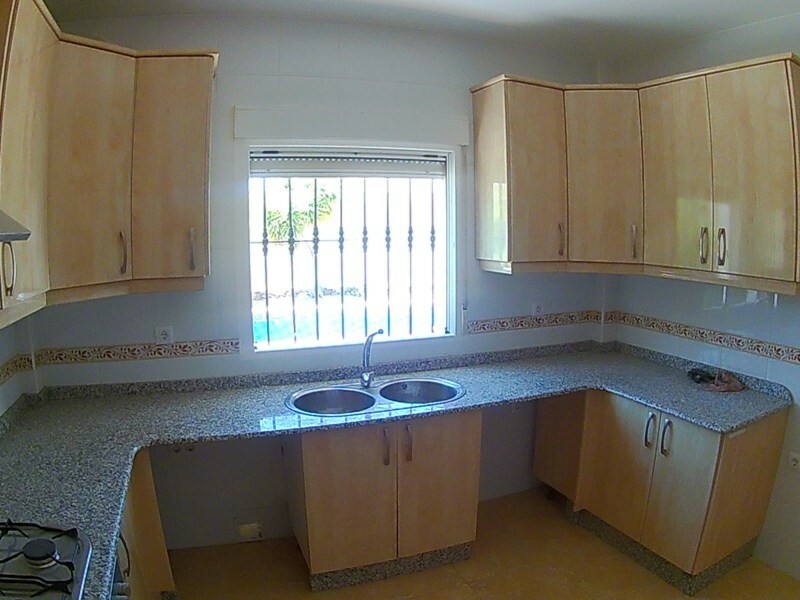 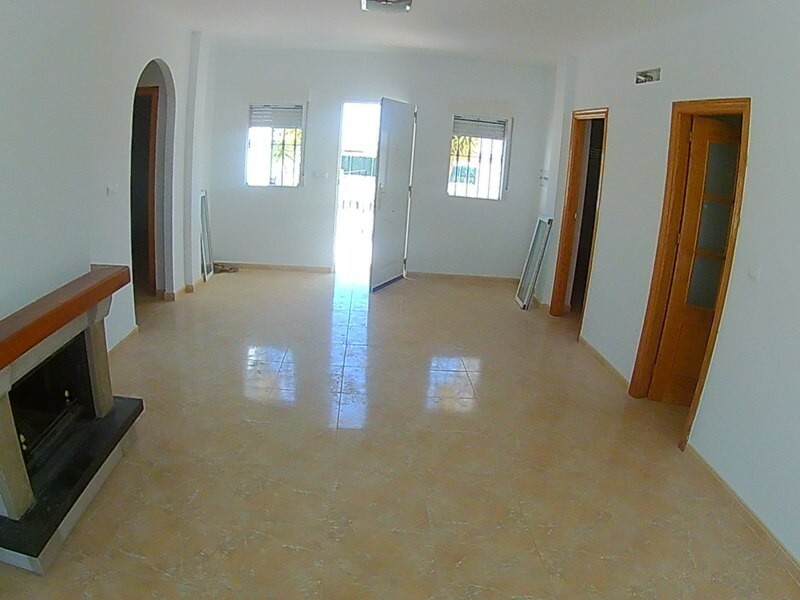 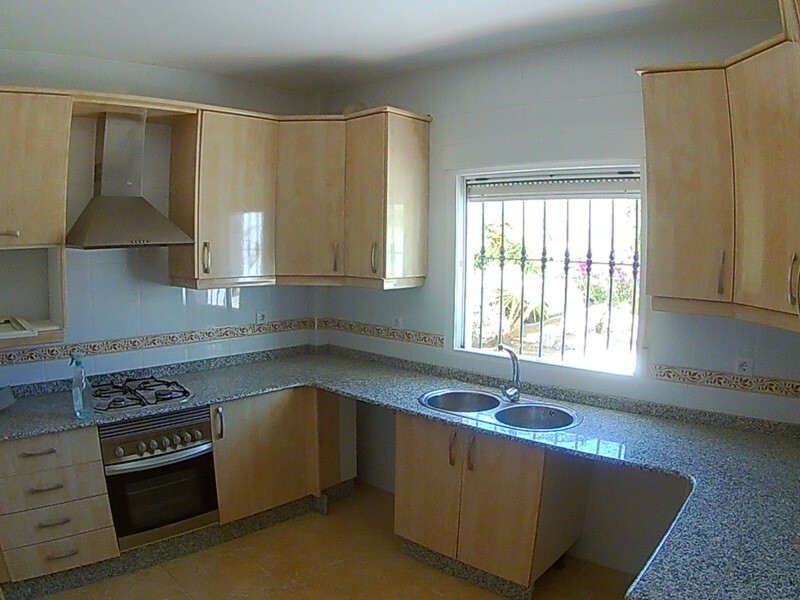 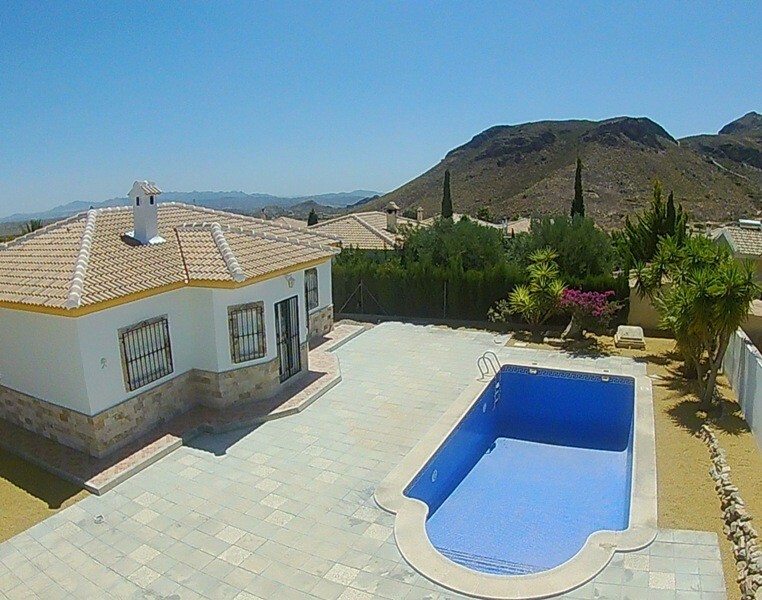 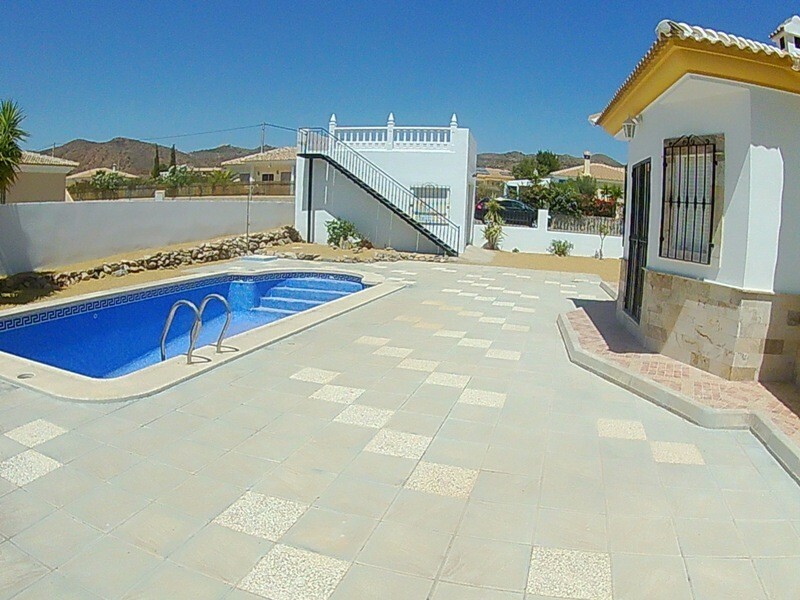 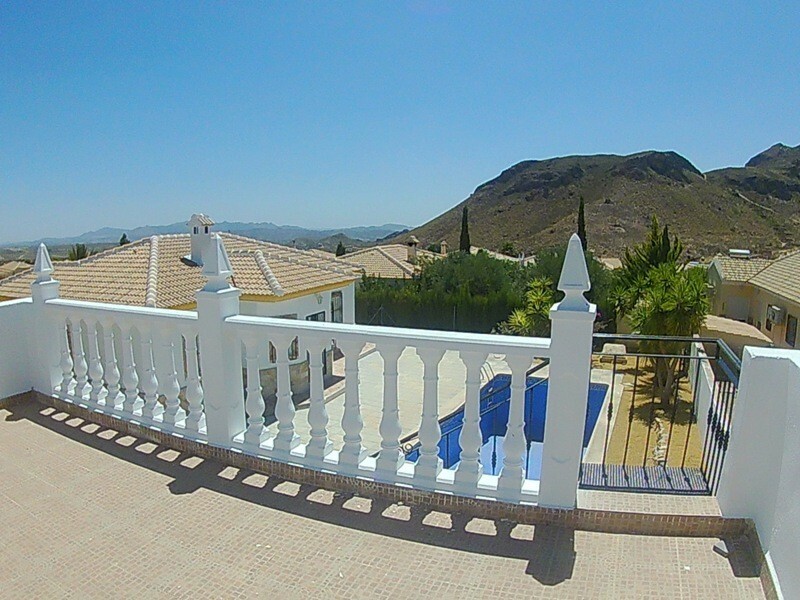 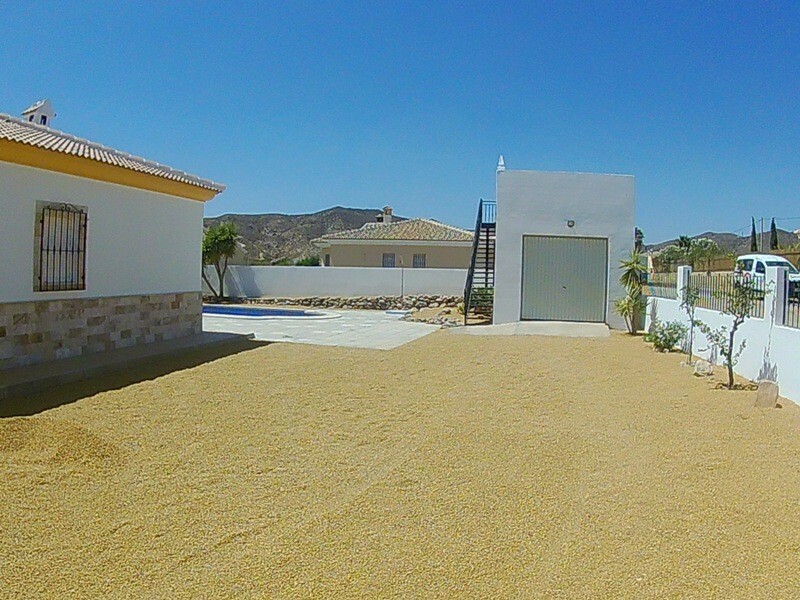 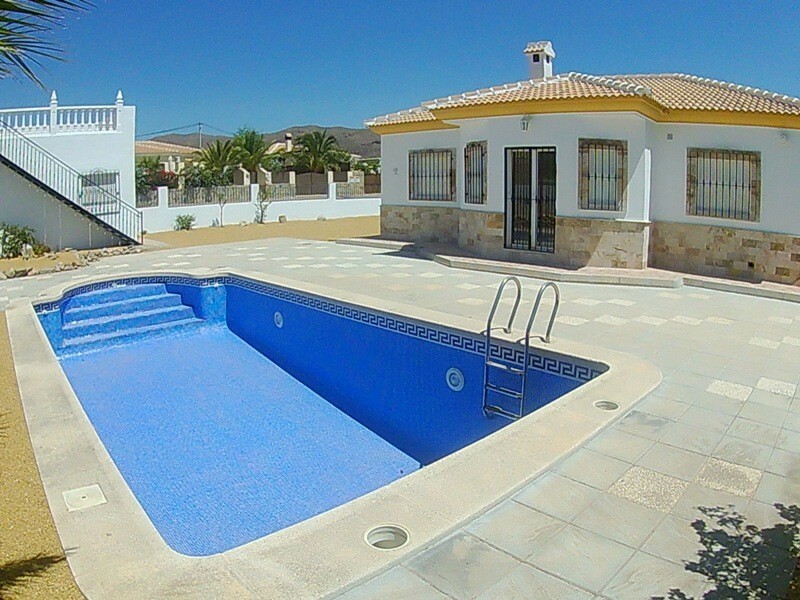 A fabulous modern Villa for sale, another great house in Almería, in the popular area of Los Higuerales ,Arboleas. 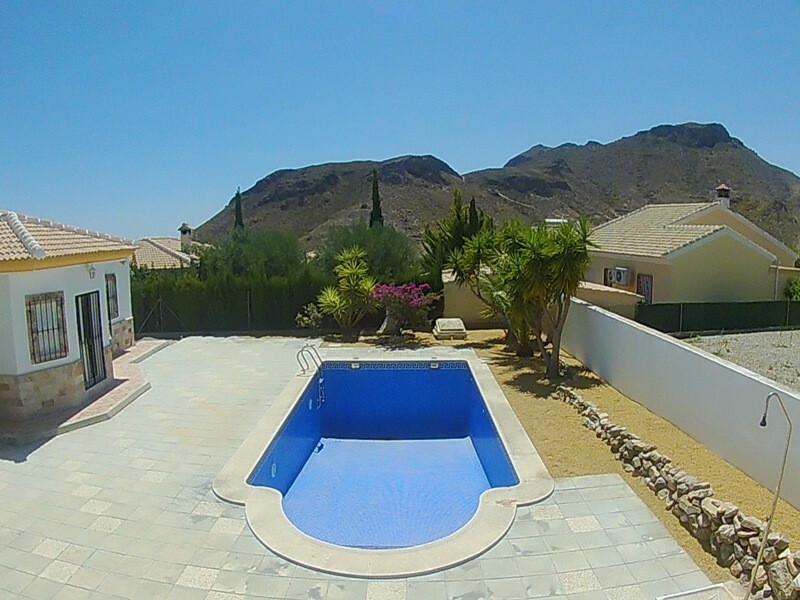 Set on a corner plot,the villa has a nice garden and patio with swimming pool and the luxury of a large independent garage with a roof terrace (solarium) above offering nice mountain views. 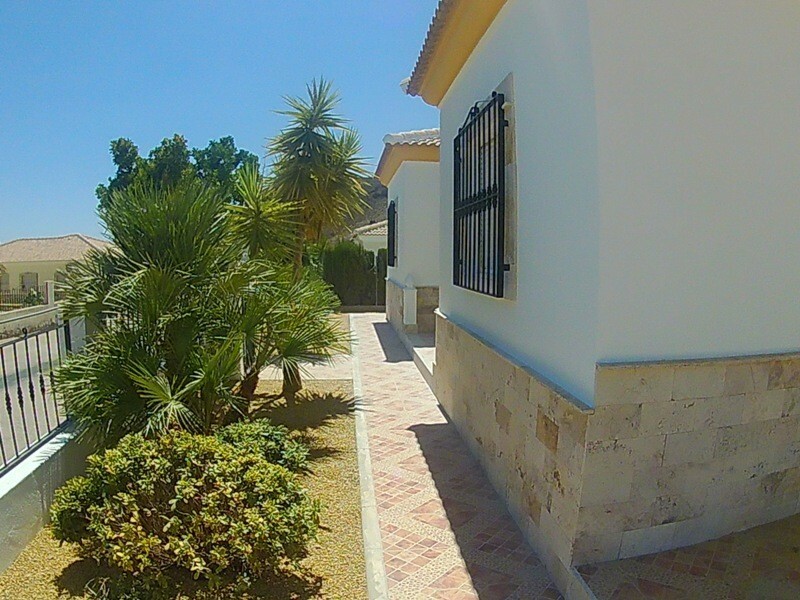 The villa has a nice personal touch with local travertine marble being used for exterior cladding and decorative use around the windows. 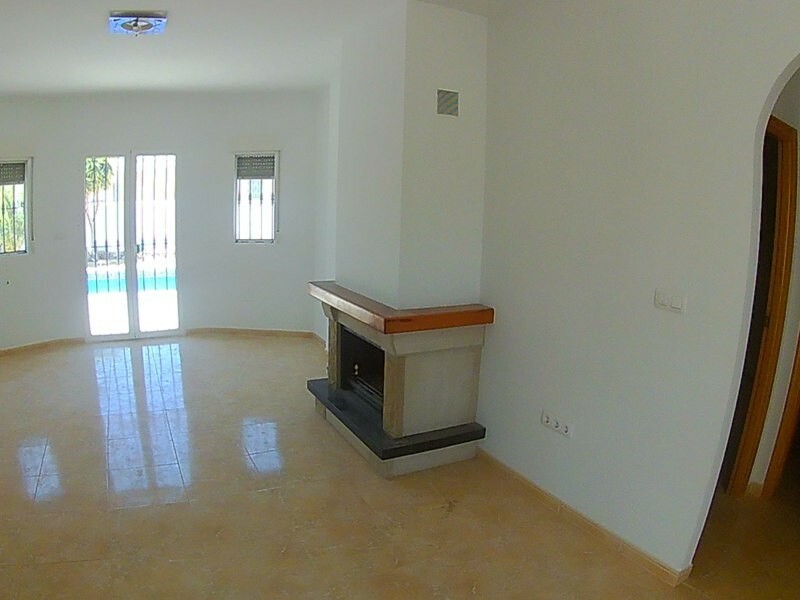 Inside, the Villa has a well lit spacious lounge with fireplace and the lounge has access to the rear patio and swimming pool. 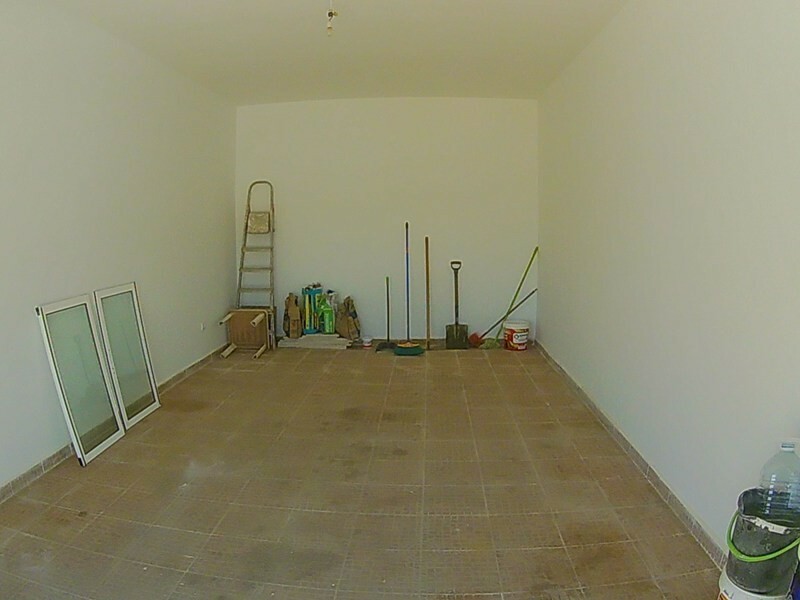 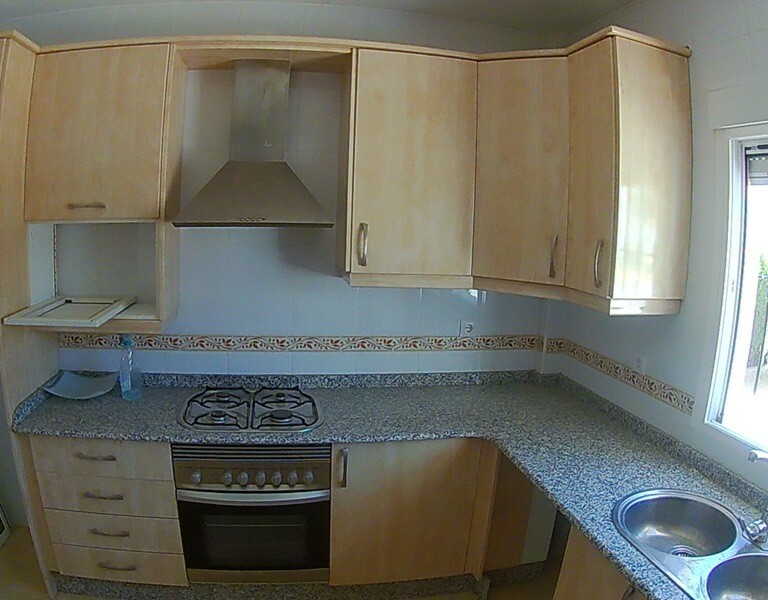 The modern style kitchen has oven and hob fitted and will also include fridge freezer and washing machine. 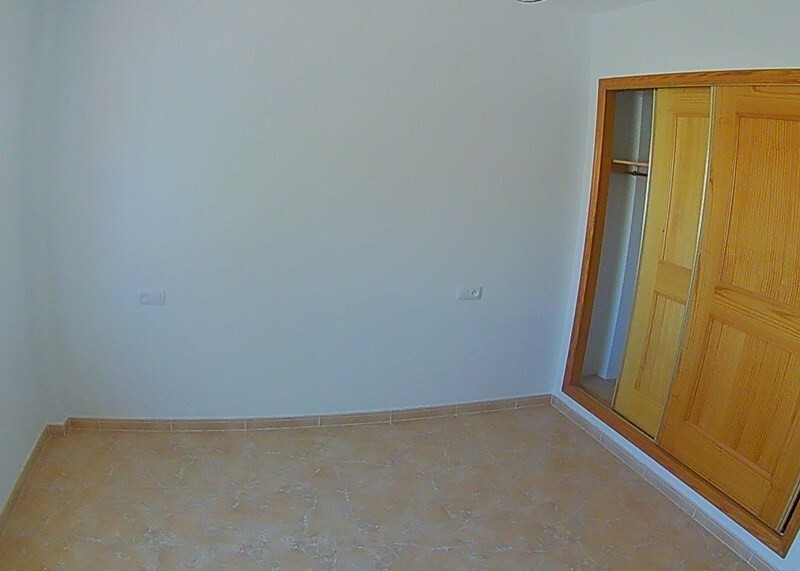 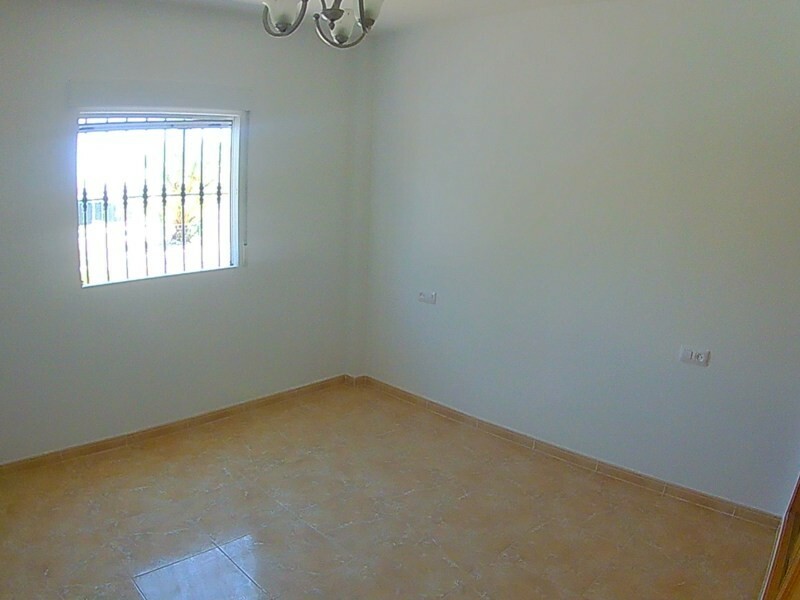 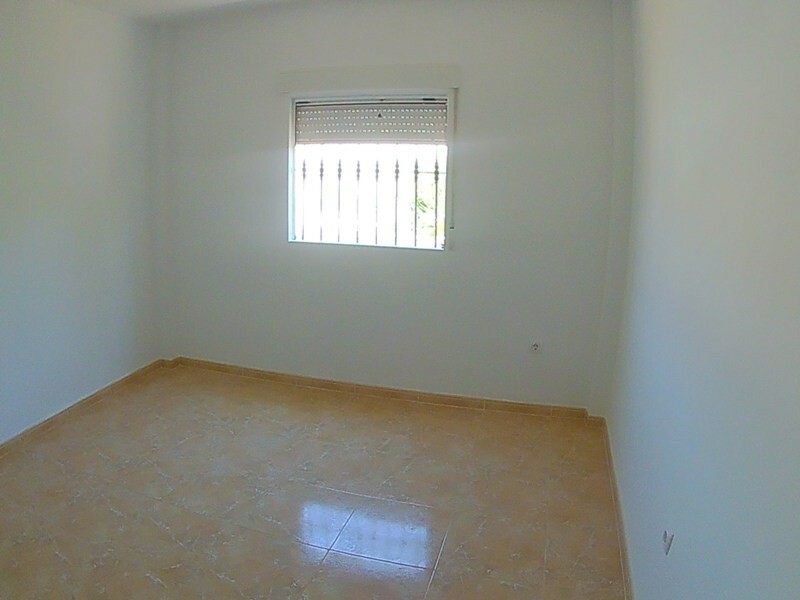 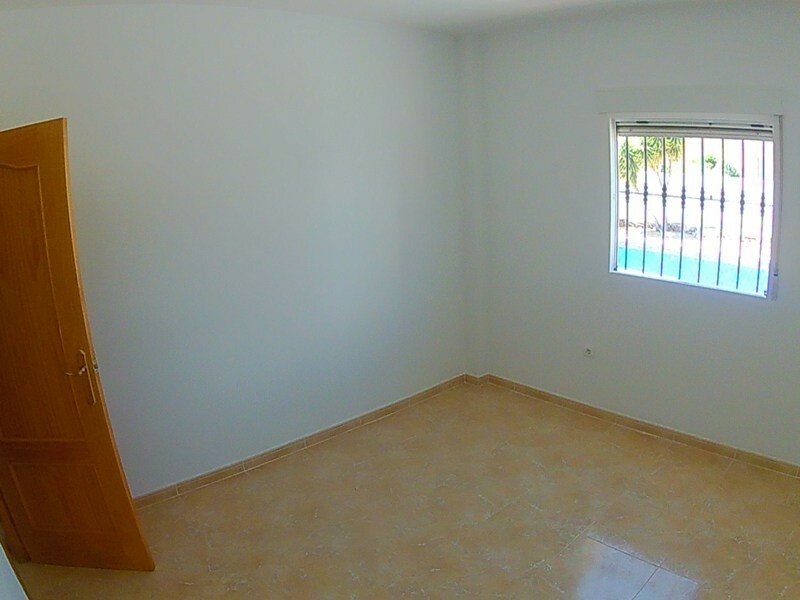 The villa has three bedrooms with the main bedroom incorporating fitted wardrobes. 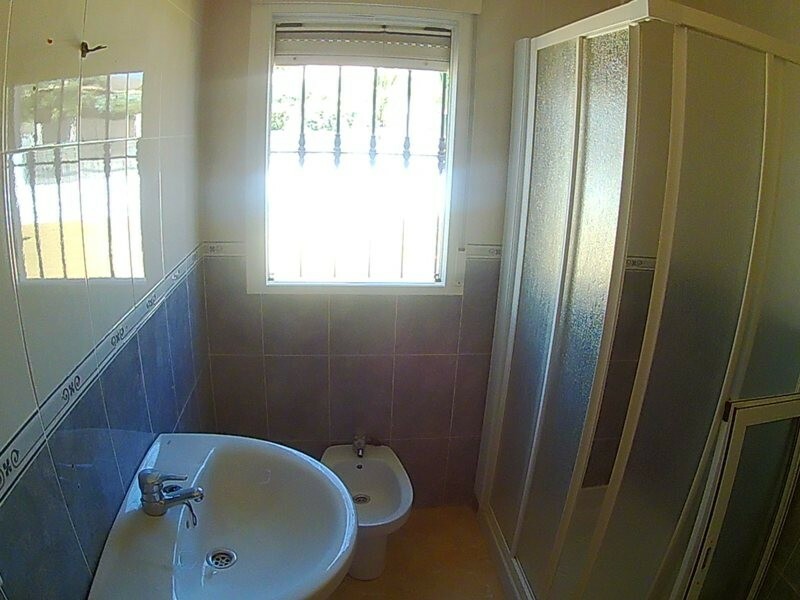 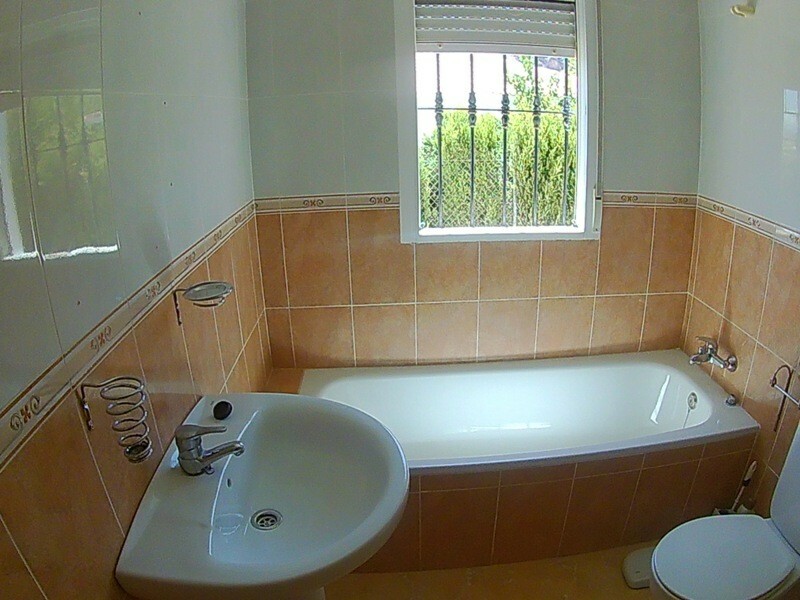 There are also two bathrooms,one with a bath and the second with shower cubicle. 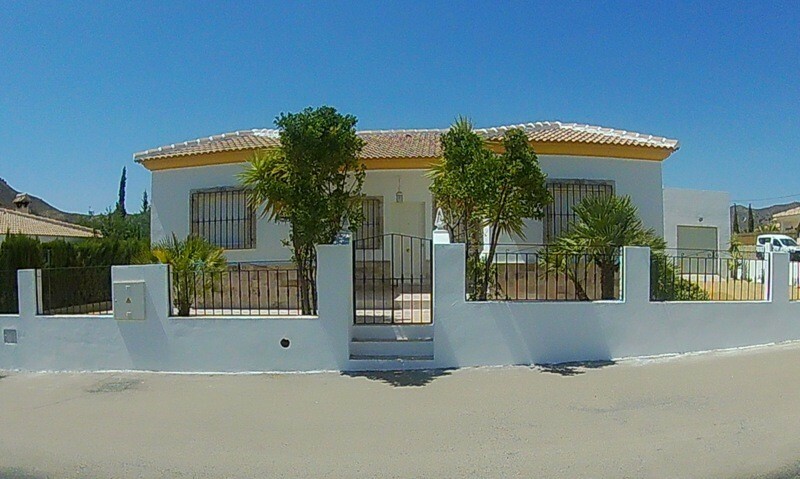 The property is a fifteen minute drive from the main town of Albox which has all the services and also has access to the coast and motorways in the other direction.